Cor-Performance Fish Oil Establishment of a comprehensive health strong foundation is the key to performance and progress. 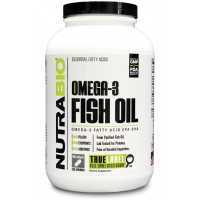 Fish oil support cardiovascular health, support brain function, joint health, unmatched health benefits. Cor-Professi.. 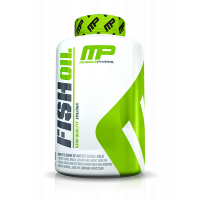 Muscle Pharm Fish Oil is a natural Nordic product that is rich with Omega-3s and EFAs. Essential Fatty Acids, or EFAs are essential to the human body but can only be found in a few species of fish. Athletes supplement their diets with fish oi..
MuscleTech Essential Series Platinum 100% Fish Oil is an extremely potent fish oil. 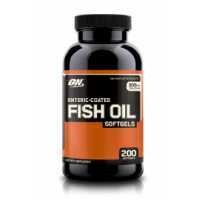 Contains an incredible four times the omega-3 fatty acids in each softgel compared to the premium fish oil softgel. 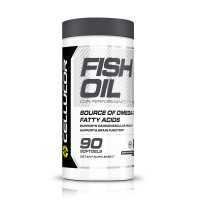 This includes and amazing 736mg ..
NutraBio Omega 3 Fish Oil Omega-3 essential fatty acids (EFAs) polyunsaturated from cold-water fish oil found good fats, such as seeds salmon, mackerel and tuna or flax, walnuts, hemp and other plants. 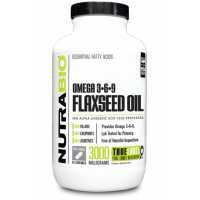 This is your body necessary supplements fatty..
NutraBio Omega3-6-9 Flaxseed Oil (1000mg) Essential fatty acids play an important role in human health, naturally in linseed oil, flax seed from a plant-derived oil .NutraBio flaxseed oil capsules cold extraction process carefully produced. This..
Training and eating healthy helps have a happier and longer life. However, many athletes and sportsmen forget about proper nutrition and because of that eliminate fat-containing products from their ration completely. Despite the common belief, fat ac..